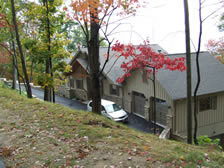 Profiles in Wood, Inc specializes in custom home design and construction. 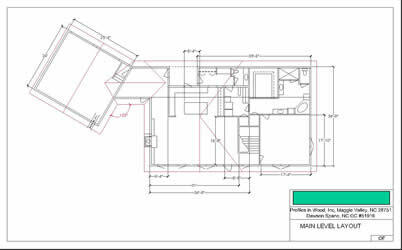 We can provide initial design and planning of all phases of the job. After the plans have been completed, Profiles in Wood obtains all the required permits to start your dream home in the mountains of Haywood County, NC. The best value in construction is a cost plus fixed contractor fee. In this manner, the owner can control all aspects of design and cost. However, the owner can chose the amount of involvment. On site every day or total remote control! All progress is documented by pictures and updated via email or posted on the company's web site. This could be the easiest house you've ever built! Contact us today. Please see our cost estimate page for more details.